My great grant uncle Stefan Arch was born 9 June 1881 in Ploesch, Gottschee, Austria. He was naturalized on 9 May 1916, in Indiana, USA. Looking for information on Rulo Conrad and his wife Edna, whom I believe was the founder of Kokomo Bale Ties. Any info appreciated. Thank you. They were married in Gibson County, IN, on 29 Aug 1852, and moved to Wayne County, Illinois soon after. 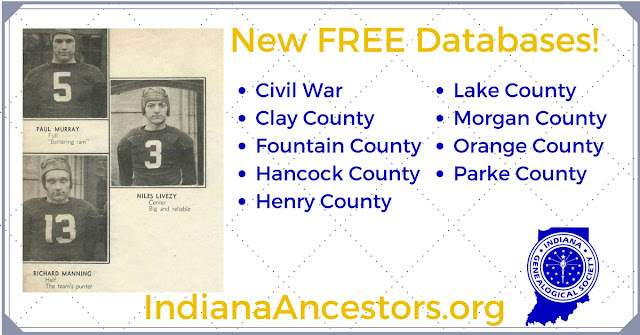 The Indiana Genealogical Society website now has 2,101 databases, including at least 9 databases for each of Indiana's 92 counties. Here are latest the premium databases (accessible only to IGS members) that we've added. IGS members can access these and all of the other databases by logging in. Not a member? Join today! You'll enjoy access to more than 2,100 databases, discounts on IGS conference registration, and more! 11th grade, Logansport High School, 1925. My name is Melissa Queen and I am a History Graduate student (and full time high school history teacher) at Texas Women’s University in Denton, Texas. As I approached the end of my graduate courses, I decided to take a genealogy course titled “The Story of My Family” with Dr. Sarah Fanning. I have utilized a wide variety of sources to trace my family history all the way back to the Revolutionary era, but the story that caught my attention begins in Indiana. The story of my disowned great aunt Elva Elizabeth Queen. That being said I was wondering if your society could point me in the right direction of gaining the birth, marriage, or death records of my relatives. Since my location is in Texas, a physical visit in to the archives or records isn’t possible at the moment, any assistance you could provide would be much obliged. Thank you so much for your time and efforts! I'm searching for Judkins JAMES. I'm trying to find out when he was born, died & where buried & any other info on him. I hope you can help me with my brick wall. Judkins JAMES b: abt 1830, OH - Civil War 74th Indiana Regiment Company K, Enrolled at Warsaw, IN 18 Aug 1862, Discharged at Indianapolis, IN 21 Jun 1863, Disability - Married: Mary BASS (my 3rd Great G-ma), she married a 2nd time to Theodore Louis CUMMINGS 22 May 1869, Kosciusko Co., IN,(known) Children of Judkins & Mary are Martha J. & Angeline JAMES. I have searched all records here in Kosciusko Co, IN & haven't found much on Judkins JAMES. What I have found is on my public tree on Ancestry: Tristen A Barr Family Tree. I'll be glad to send a check to help cover expenses & your time. Thank you so much & have a great day. I’m a volunteer at Kosciusko County Indiana Historical Society, so if you need any help researching here in Kosciusko Co., IN I can help. Through the Indiana Genealogical Society's Indiana Genealogy Digitization Project, organizations from around the state have digitized materials and made them available for free on the IGS website. Here are the latest additions. All of these were contributed by the General Van Rensselaer Chapter, Daughters of the American Revolution. NOTE: The GAR was an organization of honorably discharged Union veterans. Both of these were contributed by the Clay County Genealogical Society. 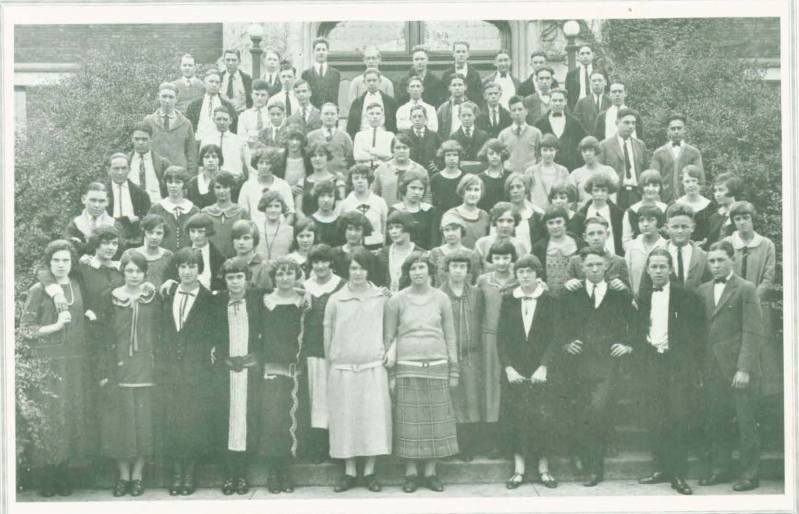 This yearbook was contributed by the Covington-Veedersburg Public Library. This yearbook was contributed by the East Central Indiana Genealogy Alliance. This book was contributed by the Whiting-Robertsdale Historical Society. This yearbook was contributed by Ten O'Clock Treaty Line Museum. These listings were contributed by the Paoli Public Library. These yearbooks were contributed by the Parke County Historical Society. Does your library, archive, museum, or society have genealogical materials like these that need digitized? Consider applying for an Indiana Genealogy Digitization grant, which includes a laptop computer, scanner, and related accessories. Details and application form can be found on the IGS website. New databases, including these football players from New Castle High School in Henry County, 1933. 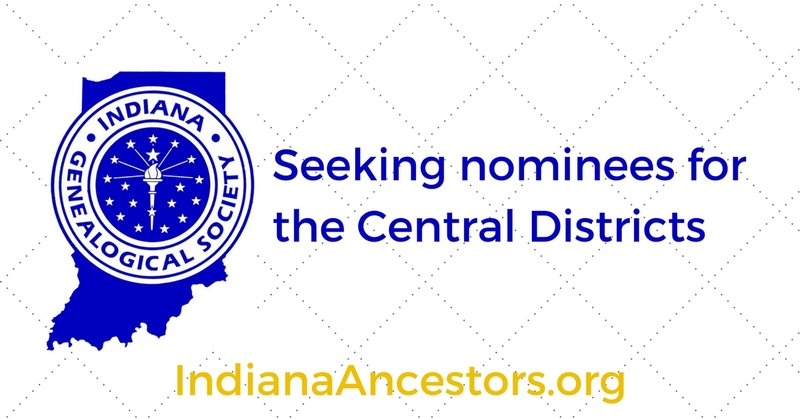 Are you a member of the Indiana Genealogical Society? Do you want to help IGS achieve its goals of helping people discover their Hoosier roots and helping preserve Indiana genealogy? If so, consider running for the IGS Board of Directors. The District Directors are elected for a 3 year term and represent the counties in their district. They attend the quarterly board meetings. They prepare a report for the board and coordinate with the county genealogists in their district to report on the activities in their district and act as a liaison between the board and the counties. If you are interested in serving on the IGS board, please contact IGS President Rhonda Stoffer at president.indgensoc@gmail.com. I am looking to find information on Julia A. Orchard. Born abt 1834 in Indiana. She died 24 Nov 1873- I believe but could be wrong. As of the 1870 Federal census, she, her husband William F. Cooley, and children James M., Eliza "Lydia", William D., Thomas A., John Henry, Oliver P., Frank E. and Story Wilbur were living in Sugar Creek, Boone County, Indiana. By 1880 census her husband and most of their children are in Perry, Clinton, Indiana, but, her husband is marked as divorced. I am trying to locate any information on her. She is my "brick wall". Thank you for any assistance or advice you can provide.